Trivia: The critical success of this film convinced many in the film industry that well-funded science-fiction projects could be successful. Film historian Ben Mankiewicz has claimed that this film's success made future big-budget science-fiction films possible. 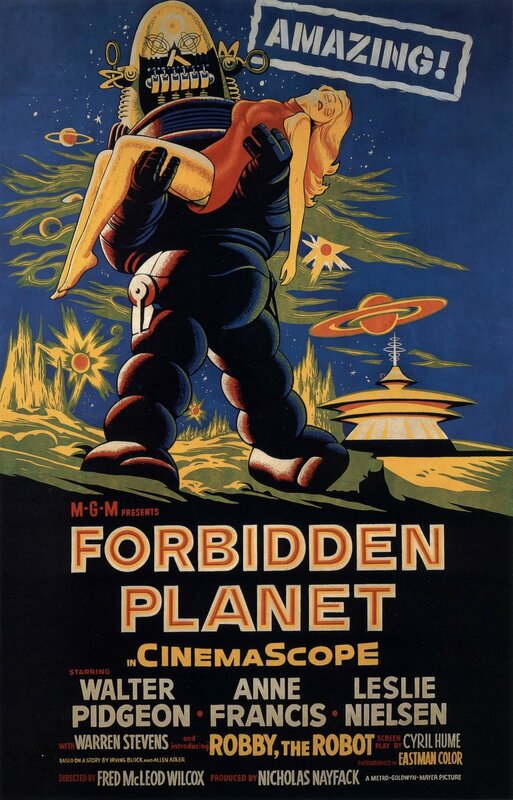 Forbidden Planet is an American science fiction film from 1956. It was helmed by Lassie Come Home director, Fred Wilcox, and produced by MGM studios. This is a classic flick. Presented with a truly beautiful picture. A product of being filmed in Cinemascope and Eastmancolor from Kodak. Forbidden Planet is a scifi retelling of William Shakespeare's classic tale, The Tempest. It's extremely cheesy and has some very questionable acting. Except for lead actors Leslie Nielsen and Walter Pidgeon. They are both great. A rescue mission from Earth is sent to Altair IV after command loses transmission with the colony living there. 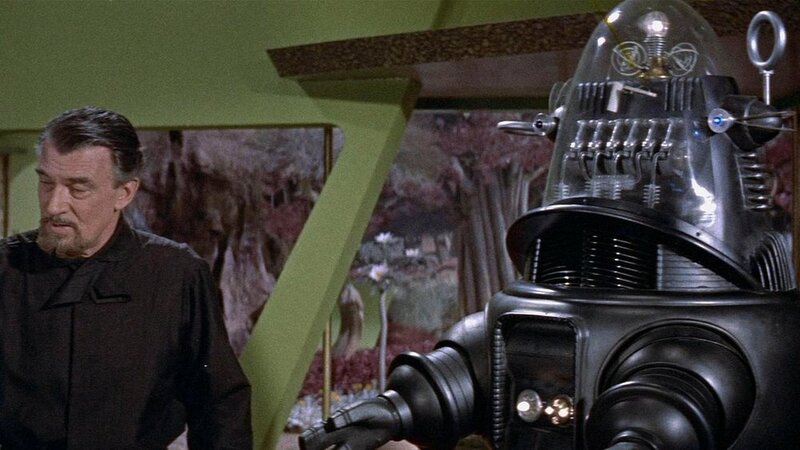 Led by Commander John J. Adams, the rescue team’s spaceship sets down on the mystery planet against the warnings from Doctor Morbius, a strange man hailing the ship from the planet. The crew finds out that Morbius is one of the few inhabitants left alive, along with his daughter and their servant robot, Robbie. The other people living on the planet have been killed by a mysterious force and Morbius fears that the same may happen to the rescue team. He encourages the crew to leave with his daughter before something bad happens, but it's soon too late. Again, the film looks amazing. I watched this in HD on FilmStruck, and it looked great. Full color. Vibrant and interesting. We can credit the amazing set design and art to Cedric Gibbons and Arthur Lonergan working in the MGM lot. It’s a trip when you realize that the entire film was made indoors. Creative shots and a lot of huge matte paintings that make the settings look so believable. There is even some great animation provided by Joshua Meador from Walt Disney Studios. I loved the art direction and effects. Not the best, but tremendous for the time. There is a well made scene that shows an invisible monster walking on steel stairs and the filmmakers added in some bending steel. It looked great. 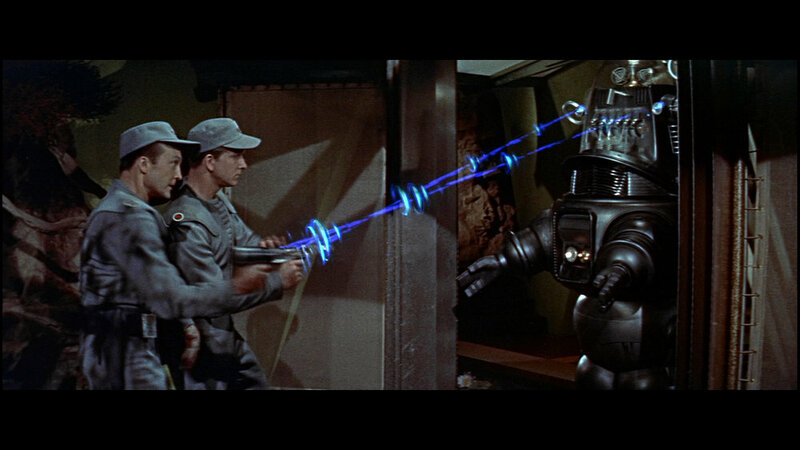 Aside from the bigger named actors like Leslie Nielsen or Anne Francis, the acting tends to be pretty bad. But it’s not bad enough to hinder the entertainment. The acting feels more television quality, probably since most of the props and some actors turn up in the Twilight Zone a few years later. There is an aire of cheapness that hangs about the movie. Unfortunately, that’s just something that drive-in monster movies from the fifties had to deal with. 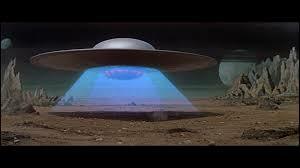 The technology for science-fiction movies wouldn’t catch up until at least the seventies. 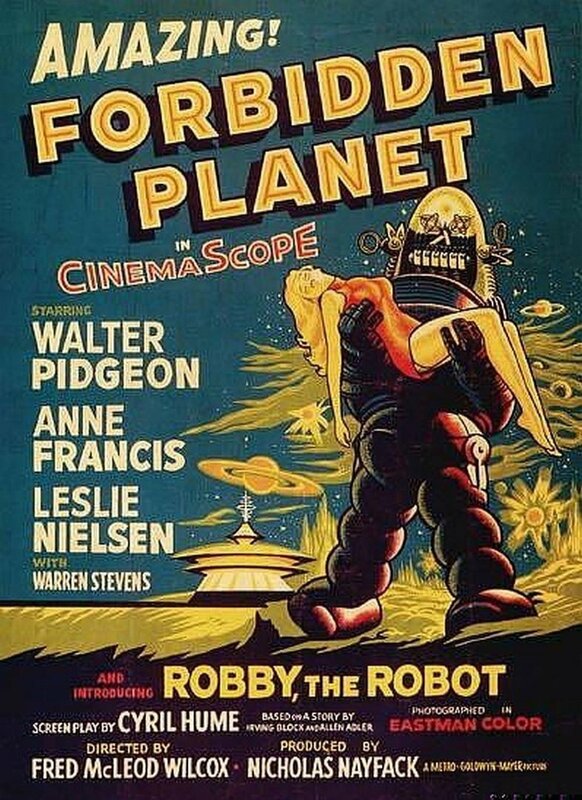 Forbidden Planet is an amazing feat of filmmaking in the mid-fifties. The effects are top quality and the filmmaking is good. It’s a movie that should be studied by film aficionados all over the world. I simply cannot recommend it enough. Some people might find the slower pace annoying or boring, but I can almost guarantee you will find something else to like about it. I had some pretty low expectations before watching this movie. I thought it would of looked a lot worse than it did. But I came away happy and fully entertained.